*scraplifted the idea (layout placement from magazine, but regret I do not remember who created the original). 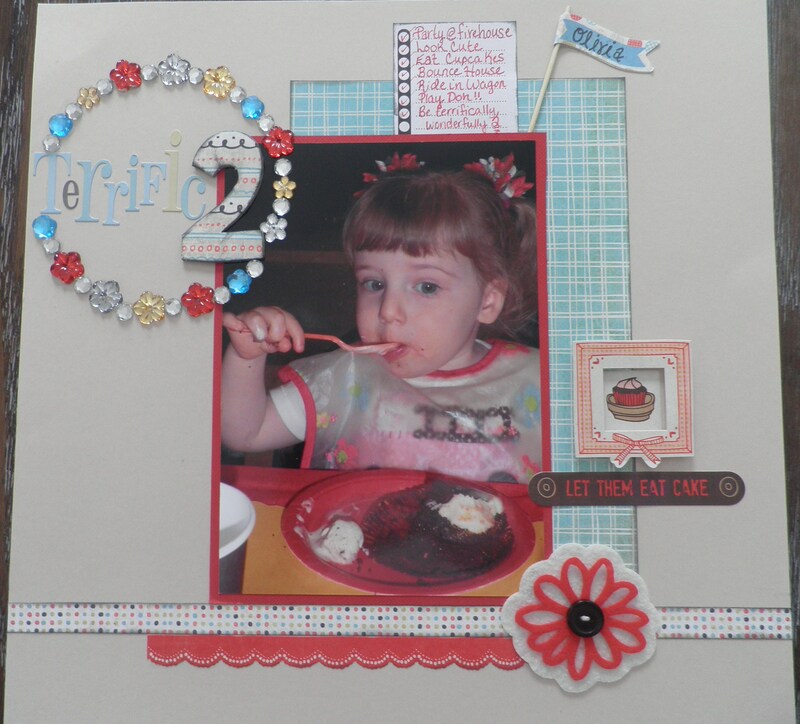 I’ve been scrapbooking now for 20 years, since there wasn’t anything called “scrapbooking”. I don’t remember crops or conventions and it was the dawn of now-defunct magazines like Creating Keepsakes and Memory Makers. I remember perusing a section in JoAnn Fabrics that was maybe 6 feet long. The only company I remember in the game was Creative Memories, which is now out of business or restructuring. I (GASP!) used construction paper until I learned more about archival preservation (best to use acid-free, lignin-free products!). Yikes. Now you’ll face aisles and aisles of possibilities at a craft store. The problem? It’s overwhelming. Here’s something to make you feel better. This is my scrapbooking evolution in 10 years. I was no Picasso. I was painting by numbers – creating a basic Title with Stickers, stuck my pages onto cardstock and then patterned paper, did a little journaling and called it a day. Now I get INTO the artistic side and do flowers, circle cutting, rub-ons, etc.. but I’ll shut up because I will start to scare you! Realize this: you are NOT going to start if you continuously compare yourself to others. Would I go on the golf course and expect to golf as well as someone who’s done it 20 years? Um. No. So start simple (think paint by numbers!) and then you’ll eventually kick it up notch after notch as your comfort level increases and you try things that interest you. As you can see.. my 10 yrs ago work is great – I have a title and some great pics and I’m proud of it! In 10 years I learned more about layering and white space and all kinds of techniques and I’m proud of that too. It’s fun to look back at your individual evolution. 1. Decide: Do you want to do traditional scrapping or digital? Or, do you want to do a combo? It makes a huge difference as you can literally do nothing but buy digital papers and projects for your computer and scrapbook digitally. You have to buy a 12×12 printer if you wish to print pages (or create smaller pages). The down side? There will be no texture to your pages, i.e. no actual ribbon, buttons, etc. unless you go the hybrid route and combine digi and traditional elements. I’m a bit of a traditional purist (although I have used journaling on the computer – GUILTY!) but I consider traditional scrapbooking to be more labor-intensive, artistic and tactical – the smell of the paper, the ribbons, the creativity involved, the unique additions and techniques used (SIGH….). But hey – digital is great, particularly if you are computer savvy and busy! It’s a total preference. 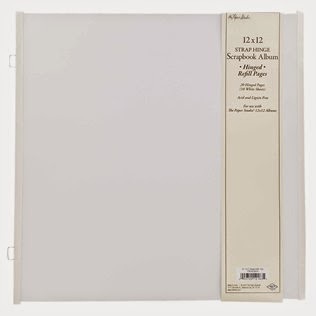 You can create your own pages, buy paper and embellishments online for both types. There are websites that help with both as well. 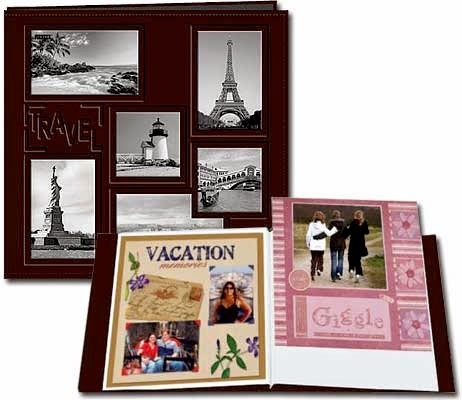 Most scrapbook product manufacturers, like my all time favorite BasicGrey, have amazing digital products. Traditional: Scrapbook.com Learn to Scrap or contact your local Close To My Heart consultant (they do in-home parties all over the U.S.!). My home-girl Sarah does this and could probably help you out wherever you are: CTMH Sarah’s FB page. I’ve also seen classes offered at craft stores. 2. Only buy supplies for the project or pages you are working on NOW, not ones you plan to do “some day.” I committed this cardinal sin over and over until I smartened up and sickened myself by the money I wasted. For instance, I once bought the CUTEST zoo stickers… EVER! It took me about 5 years to go to the zoo and by then, I was so bored of those stickers and wanted to try something else. I never used the original ones I bought. Only buy what you need for the projects you will scrap in the next few weeks. If you think you’ll do 10 pages in a month? Buy what you need just for those 10 pages, in particular, embellishments. You can always run out or go online and shop for more. I can’t emphasize this enough! 2. Use post-bound albums or any kind where you can move your pages around (never have pages you have to scrapbook back-to-back like a strap-hinge album). Why? It frees you to create pages instead of the pressure to complete albums. You don’t have to stay in order and you don’t have to have the utterly frustrating experience of realizing you forgot something that would logically go between the 2 pages you just scrapbooked front to back. DAMN IT! This is a strap hinge refill (above)- if you look closely you can see the little staple-looking thing on the left side. That goes in the straps of the album, so you MUST scrap that page front and back. Here are post-bound albums. I can personally recommend: Pioneer, SEI, American Crafts, Colorbok, We R Memory Keepers, Karen Foster and K & Co. I have also bought albums at my local craft store (JoAnn’s or Michael’s) (coupon$$$!!) With post-bound you easily slide completed pages in the album plastic sleeves. That makes them movable. And trust me… I’ve moved mine. 3. Buy basic papers in bulk. Basic cardstock is something you will always use and use a lot of, particularly white and black, but also ivory, cream, brown, gray – anything neutral. As you start scrapping, you learn other “go-to” colors and can stock up on those. I started with a binder I kept my cardstock in and later upgraded to a scrapbook store-worthy 12×12 paper holder as I grew more confident in my color selections. 2. A 12×12 cutter. 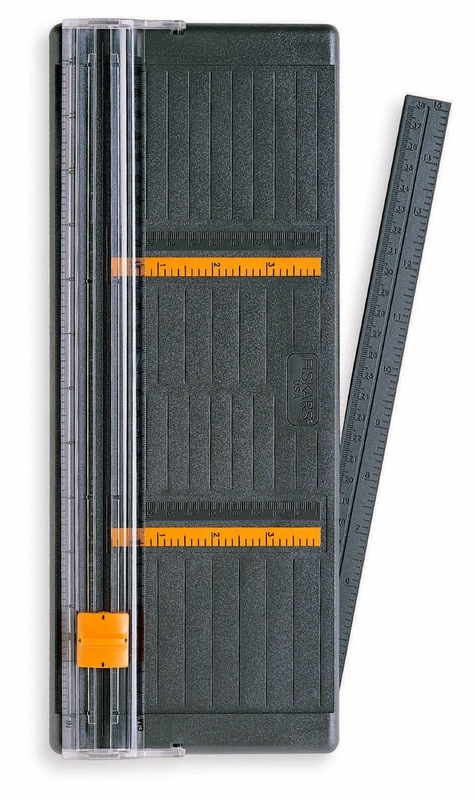 My personal favorite has and always will be the Fiskars brand cutter. This is the one I’ve had since I started and used forever. I actually bought many of them back when I taught classes. I think they discontinued mine (left) and this is the replacement. I do recommend going to a store if possible and ask if they have trimmers you can try. Some people love rotary trimmers, others the slide (like these). It’s a preference based on comfort and ease of use. My mom, who has arthritis, loves the rotary cutter. Again, it can be overwhelming, but going anywhere you can try different cutters is best. 3. Paper: Again, cardstock is what you want, but feel free to buy some patterned papers for the project you are working on. Don’t be intimidated by patterns. You can also buy “kits” from Close To My Heart – those are GREAT for starting out or to get some inspiration. 4. Adhesive. This is alllll about preference. My preference for paper adhesives are these 2. Now, the Scotch tape glider is NOT for everyone. First of all – it’s HUGE.. think of one of those big “guns” that holds packaging tape? It’s like that. If you have issues with arthritis, this will be a big NO. I didn’t care for it originally, but grew to love it. I use this only for big pieces of paper. For the small things I use the 3L tape runners, which they carry online and at craft stores (where you can use coupon$$$$!!!). I love them both and certainly have no problem with sticking. 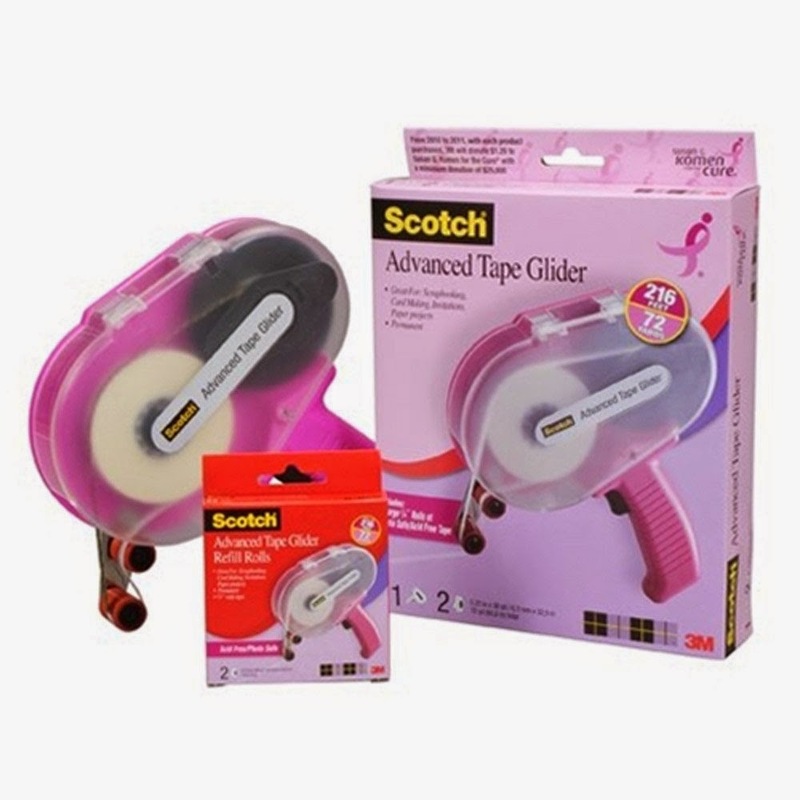 You can use the 3L solely if you like, to start, and again, find a fellow scrapper with the Scotch glider so you can try it before you buy it. Just a note: I’ve never recommended “removable” or “repositionable” adhesive. Always get permanent. For my photos I use the 3L runner on just the corners. On paper and embellishments I use it everywhere. In a crisis or should I want to salvage or remove a picture, there is a great product called Un-du (Pictured right) that will get your photos off safely. 5. Journaling pens or… save money for now and use your computer. You can trim your cardstock down to 8.5 x 11 to fit your printer. Change the settings to “cardstock” under printer options and you are good to go! That’s the basics to get start… remember you won’t be a Picasso to start so don’t invest a ton of money until you know this is something you love. Remember: sticking some pictures on a page and adding a little journaling and a title beats that box crammed with photos under the bed ANY day! 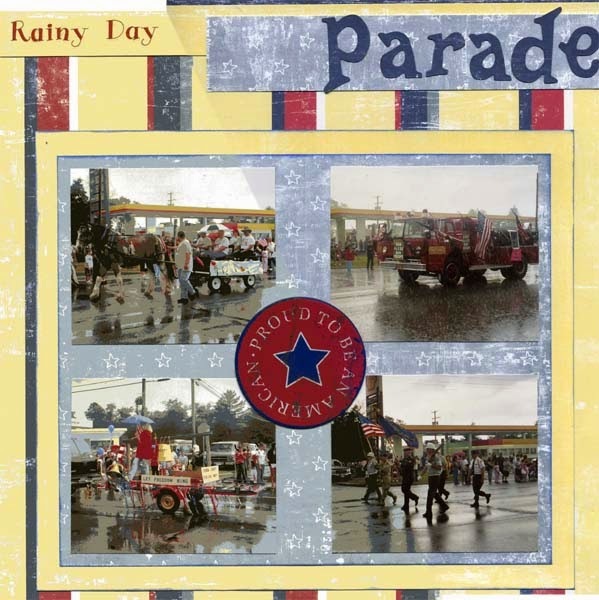 This entry was posted in Crafting, Scrapbooking and tagged basics, beginner, beginning, scrapbook, scrapbooking, supplies. ← Repairing Dog Teeth Marks on Wood Furniture (subtitle: The day my dogs almost died).